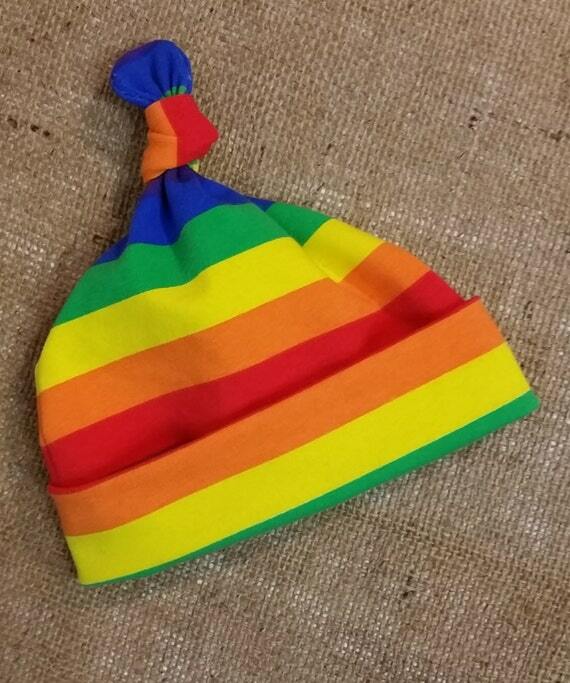 It’s a… rainbow baby!! 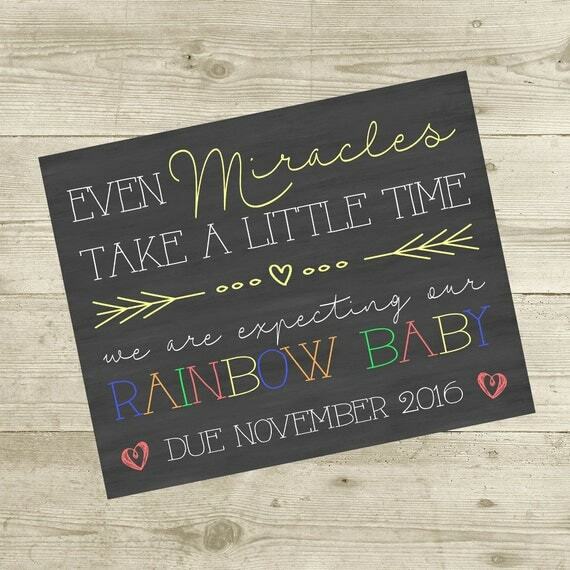 Looking for cute and unique rainbow baby announcement ideas? 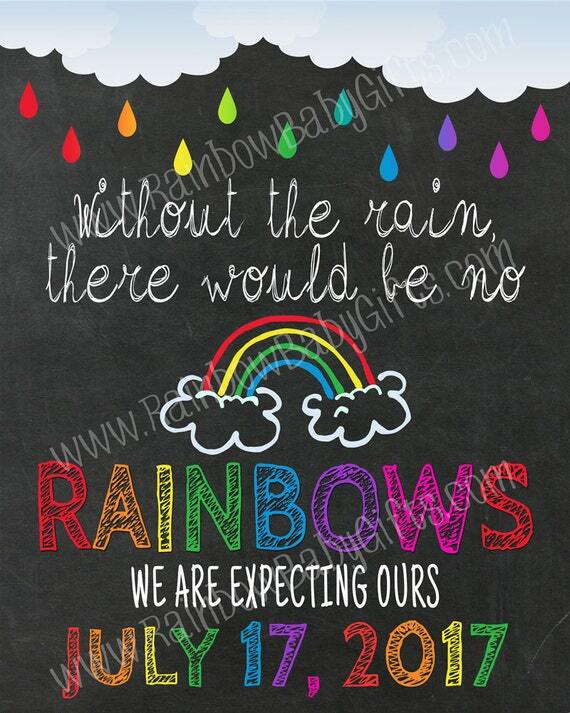 Here you will find a selection of rainbow baby announcement cards, maternity shirts, pregnancy announcement signs, maternity and baby photo props, baby shower invitations, gift ideas for moms, and crafting kits designed especially for celebrating a rainbow pregnancy. 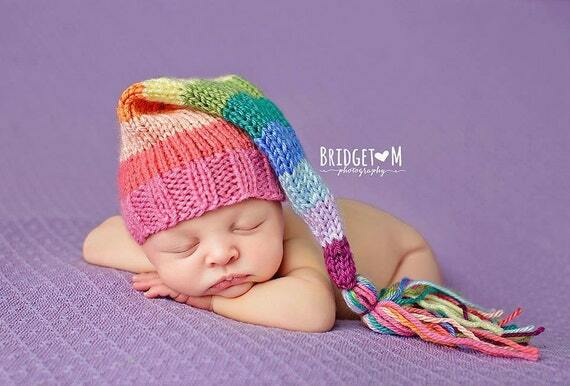 A rainbow baby is a baby conceived after a pregnancy or infant loss. 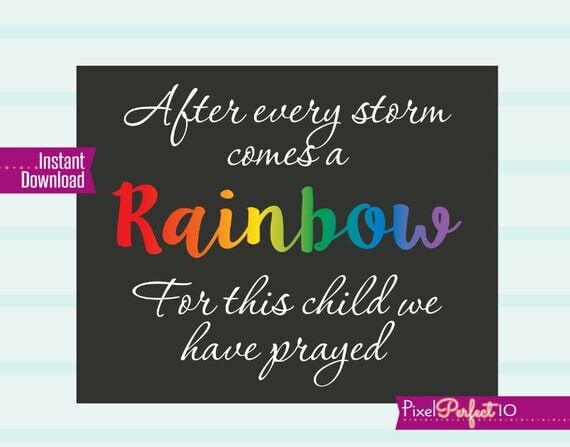 The rainbow represents beauty amidst the turmoil of a storm. 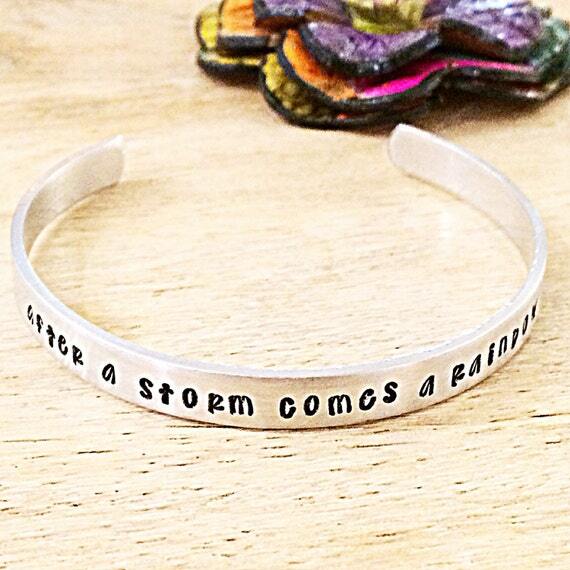 The rainbow does not take away the pain of the storm, but instead, the beauty and pain co-exist together in bittersweetness. 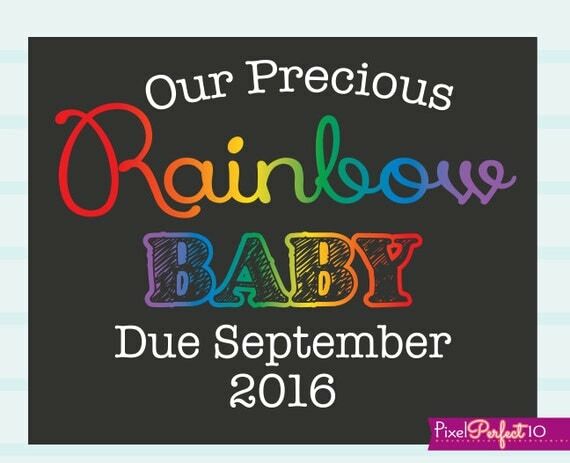 In memory of my own mother and her rainbow baby, I put together a collection of rainbow baby announcements cards, baby shower invites, maternity shirts, photo props, baby clothes and gift ideas for expecting mothers to celebrate the new life growing inside her in remembrance of the angel babies who came before. 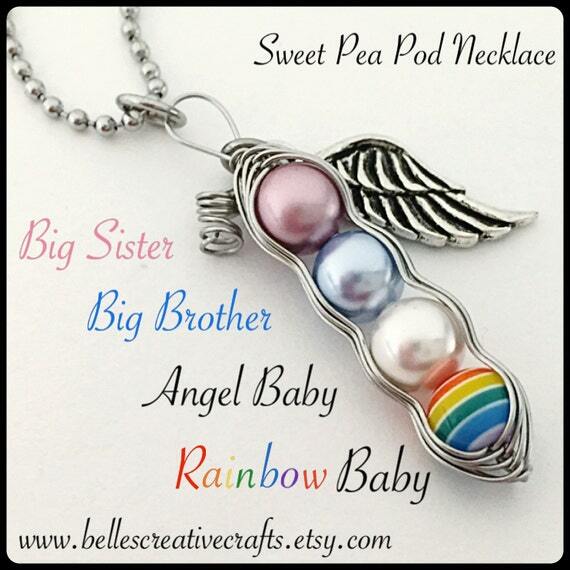 After pregnancy loss or infant loss, the announcement of a new pregnancy can be difficult, but when the time comes to let your loved ones know you are expecting again, these rainbow baby announcement ideas are a beautiful way to celebrate the new life growing inside you. 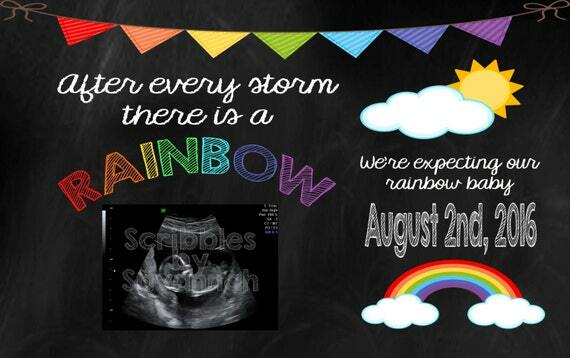 Surprise everyone with your hopeful news using one of these bright and cheerful rainbow baby announcement cards. 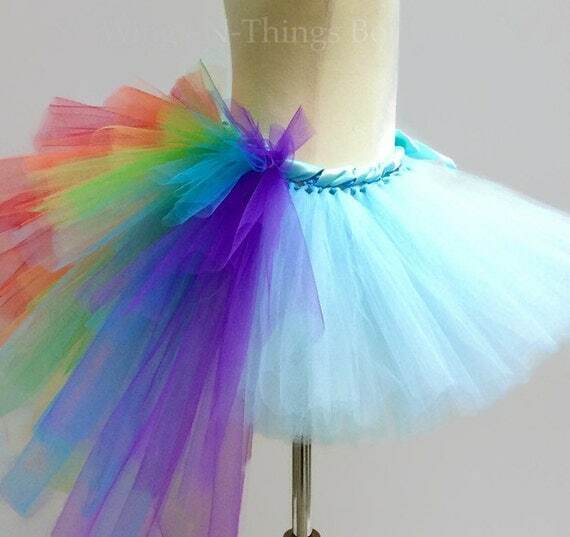 Another fun idea is using a rainbow themed maternity photo of you and your family holding a rainbow baby pregnancy announcement photo prop sign or of you wearing a rainbow baby maternity shirt or rainbow maternity sash across your belly as your announcement. 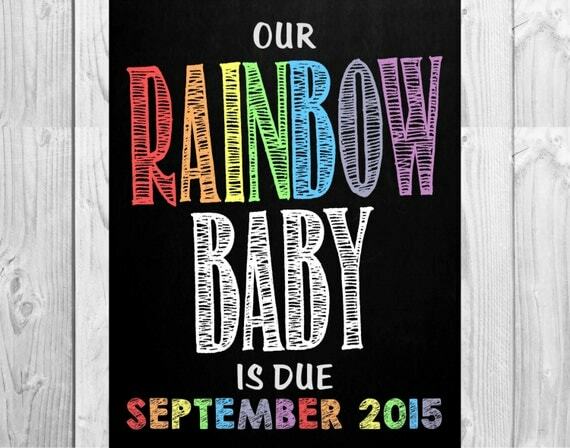 If you are crafty, you may enjoy making your own unique rainbow baby announcement using special rainbow baby clipart, digital paper or SVG cutting files featured below. 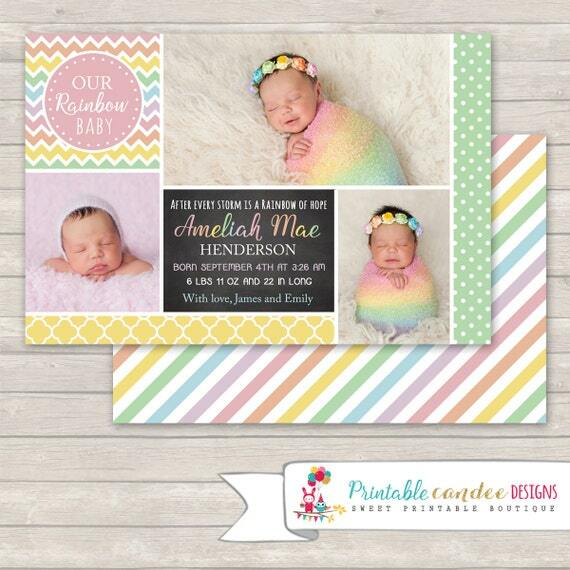 The design possibilities using these sweet rainbow baby clipart, digital papers, and SVG cutting files is limitless. These craft files are designed by me and are available in my Etsy shop. They can be used for any project you can think of such as making your own maternity shirts, announcement cards, announcement signs, baby shower invitations and decorations, wall art, keepsake gifts, scrapbooks and memory albums, and so much more. 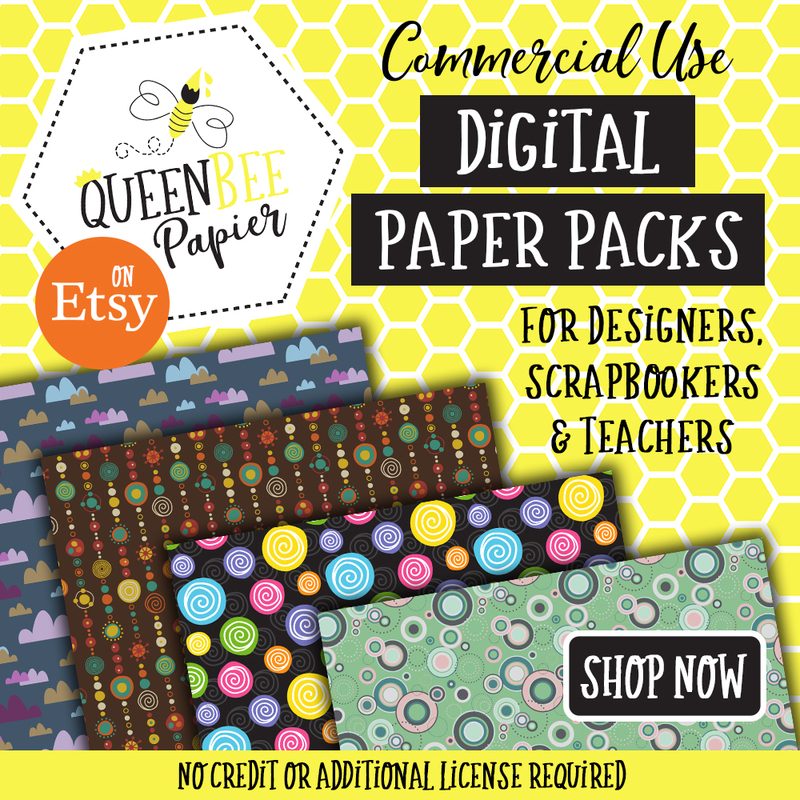 And if you sell your crafts, these files come with a commercial use license too! 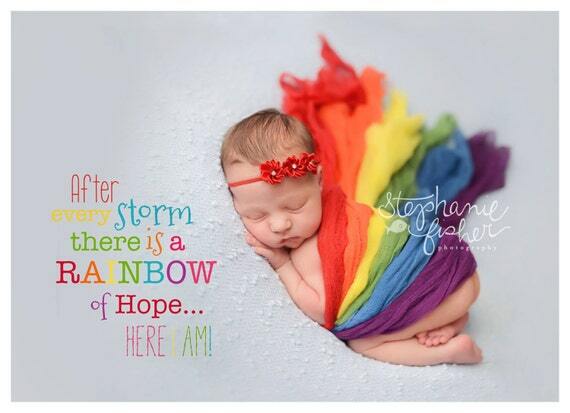 Share your joy and hope for your rainbow baby with friends and family with a rainbow baby pregnancy announcement card. The 5″ x 7″ card can be printed or shared on social media. Personalize the announcement card with a picture of your ultrasound and the due date of your baby. 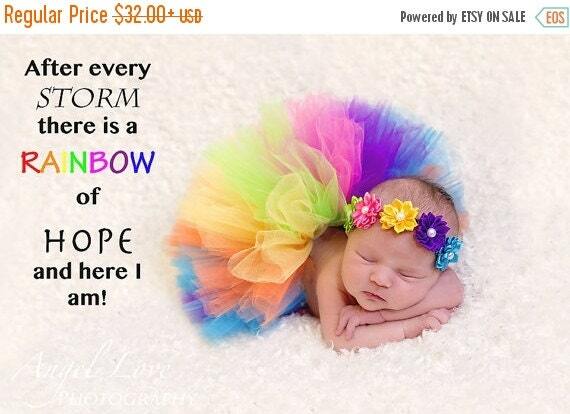 Share your hope with a bright and colorful Rainbow Baby Announcement Card. 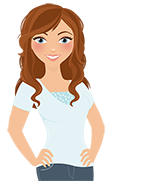 This is a digital printable that you print yourself at home or photo center. It is very easy to order. 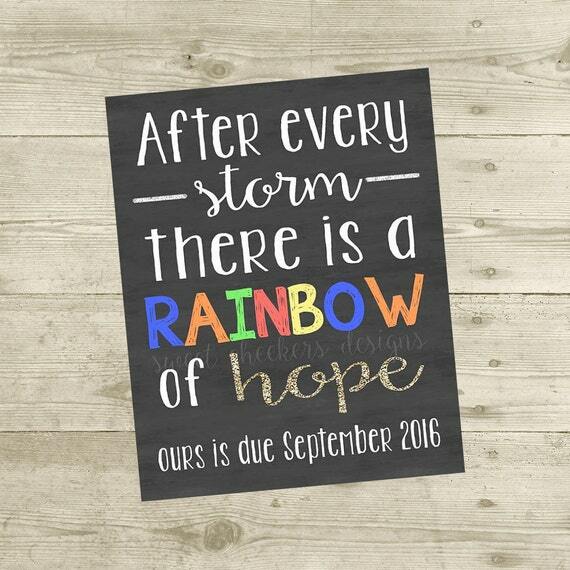 This Etsy designer will customize the announcement with your baby’s family name and due date that you provide upon checkout and you will receive your personalized rainbow baby announcement via email within 24 to 48 hours for your approval. Print as many copies as you need. Choose between 4 x 6 inch or 5 x 7 inch. Reaching milestones in a high-risk pregnancy after experiencing infertility, miscarriages and infant loss are a mixed bags of emotions including grief, fear, heartbreak, tentative hope and joy, and being able to share the hope of a rainbow baby pregnancy with friends and family is a very special milestone in itself. The hope of a successful pregnancy does not replace the grief over the loss of the hopes and dreams for the babies who came before. 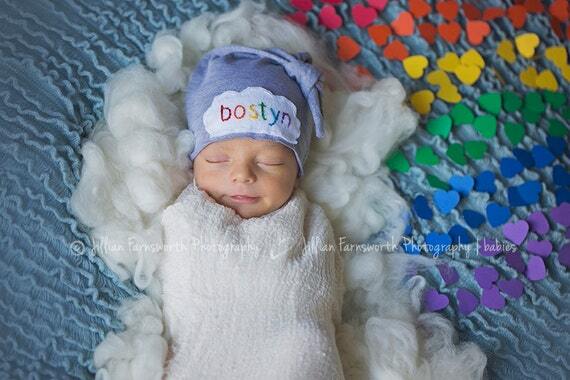 A special way to honor the angel babies who hold a special place in the hearts of their families and the accompanying feelings of loss that are carried forever is with a rainbow baby pregnancy photo shoot. 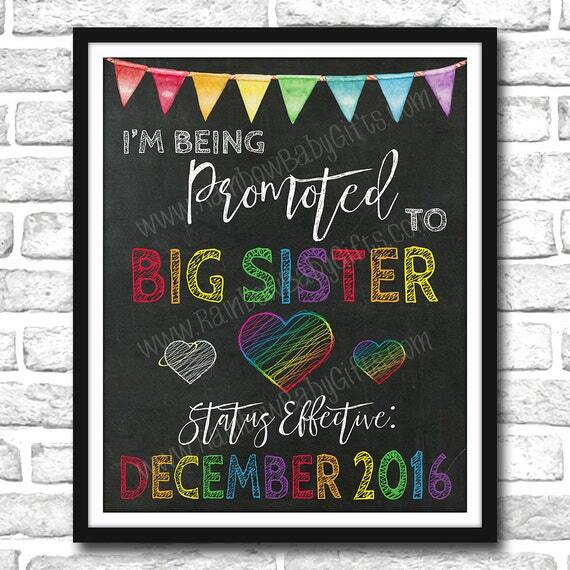 You could announce the pregnancy with a family portrait of mom-to-be, spouse and “big” siblings using a bright and colorful personalized rainbow baby pregnancy announcement sign. 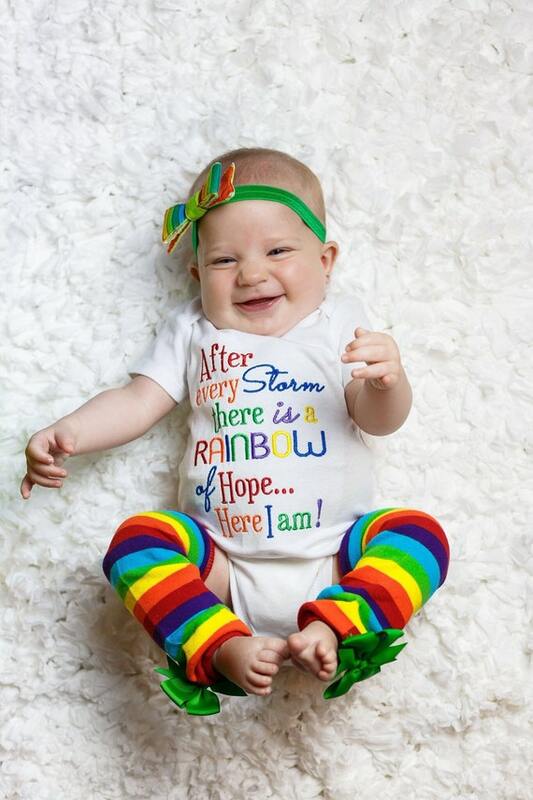 Rainbow baby maternity shirts are another fun way for mothers-to-be to announce a pregnancy in a photo. You could have your spouse or children paint a rainbow on your belly or you could paint you and your spouse’s hands with rainbow colors and leave the imprint on your belly. 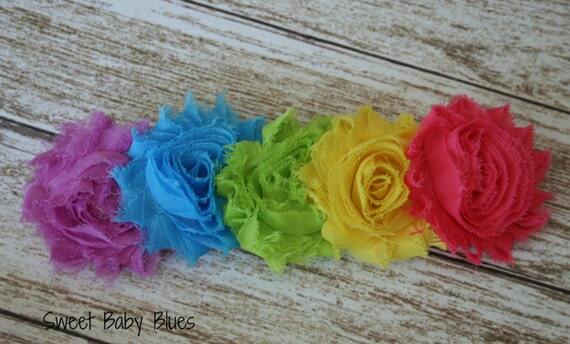 You could wear a rainbow flower maternity sash or incorporate rainbow wraps into your shoot. 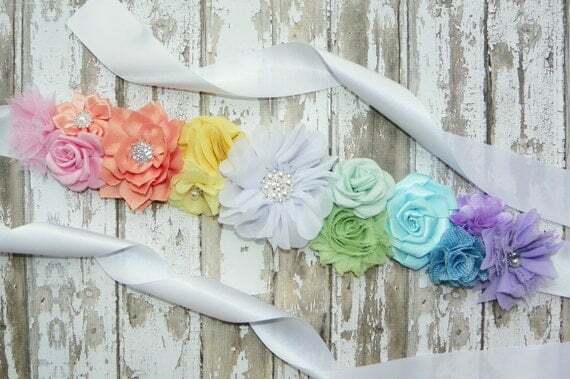 A white dress or clothing looks both lovely and angelic, symbolizing the angel babies who came before, and the splashes of rainbow colors represent the heartbreak, hope, faith, and gratefulness that will always be intertwined together. 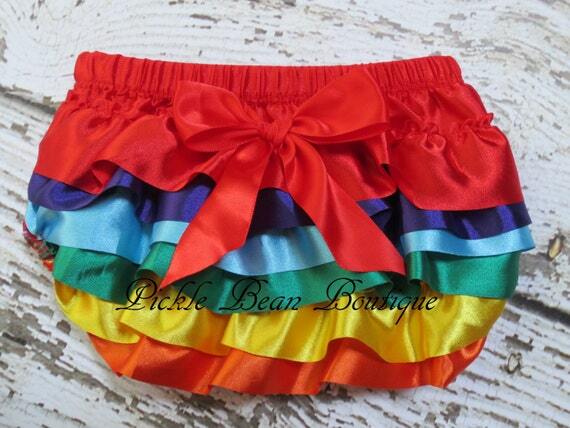 You could get really wild and crazy and wear a rainbow-colored wig and a colorful outfit like a rainbow tutu and rainbow striped socks. This would be a lot of fun for the whole family to get involved, even the furry ones. 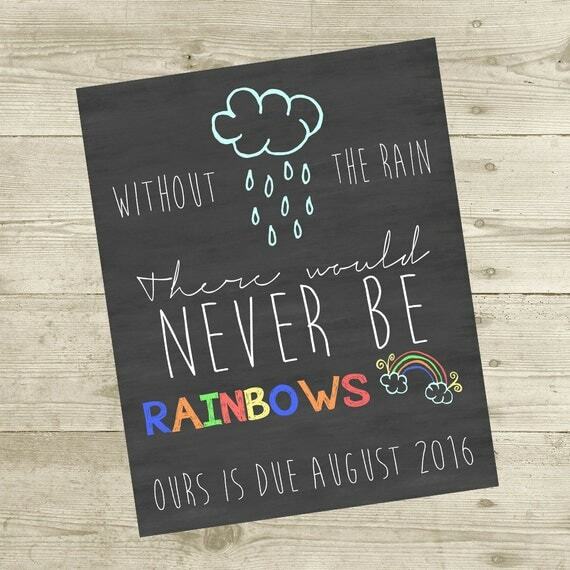 A bright and colorful “Without The Rain There Would Be No Rainbows” Rainbow Baby Pregnancy Announcement Chalkboard Sign featuring rain clouds, rainbow-colored raindrops, a hand-drawn rainbow and bright rainbow text on a chalkboard background. 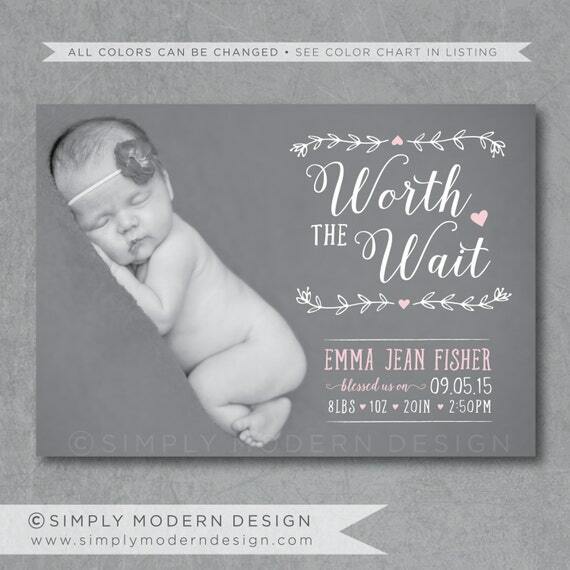 The sign is personalized with your baby’s due date. It is available as either an 8″ x 10″ or 16″ x 20″ JPEG and PDF file. 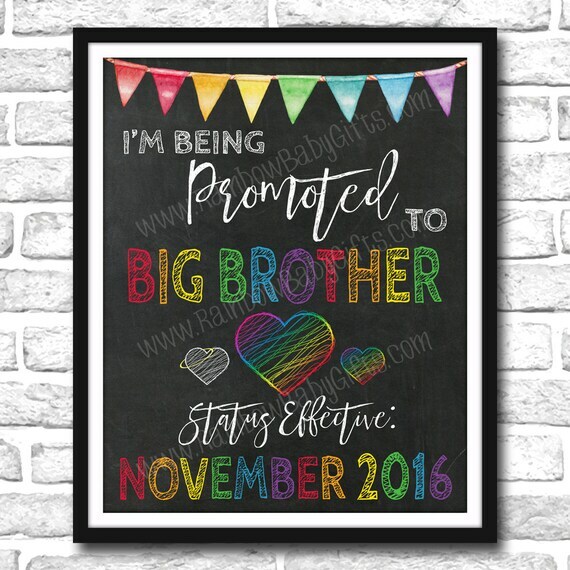 These Double Rainbow Baby Pregnancy Announcement Signs are designed especially for announcing to a current rainbow baby that they are being promoted to big brother or sister of a second rainbow baby. 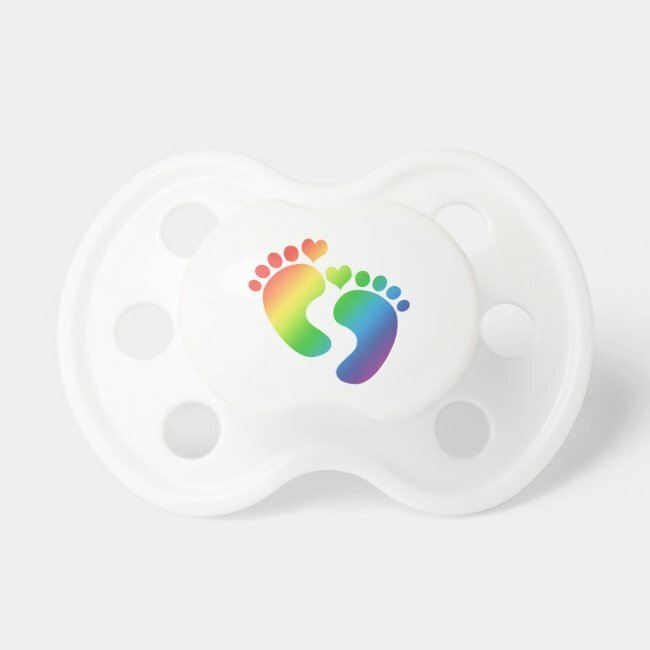 The signs include three hearts; the small white heart with the yellow halo represents the angel baby(s) and the small rainbow heart represents the rainbow baby(s)-to-be and the middle rainbow heart represents the big rainbow brother or sister-to-be. The signs are available as 8″ x 10″ or 16″ x 20″ prints. You will receive both JPEG and PDF files for printing. 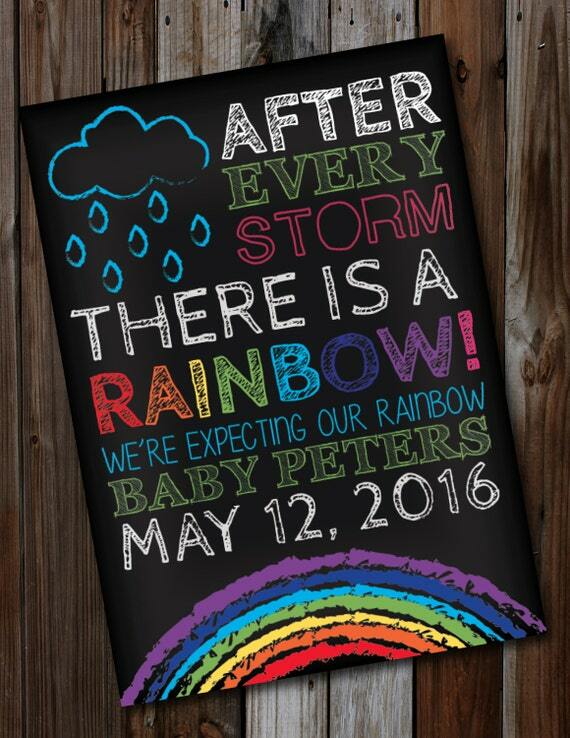 More Personalized Rainbow Baby Pregnancy Announcement Signs you print yourself at home or at a photo center. You pay for the design and customization and then you receive a jpeg file that you can print off as many copies as you need. The signs are available from graphic designers on Etsy and are ready for you to print within 24 to 48 hours after you order. The sizes of the signs varies from 8″ x 10″, 11″ x 14″ and 16″ x 20″. 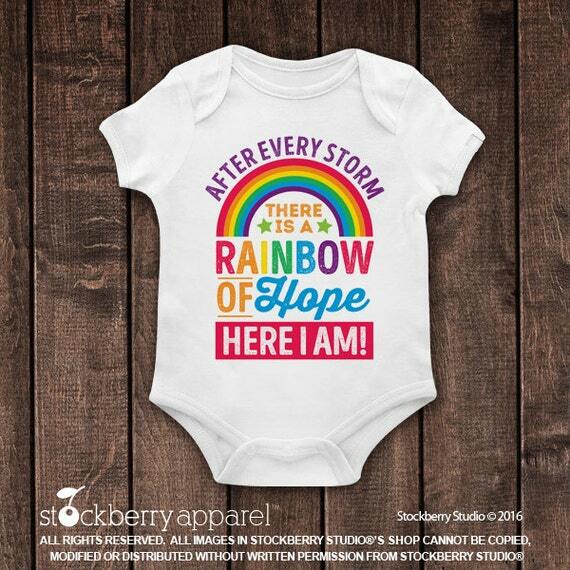 These After Every Storm There Is A Rainbow Of Hope Pregnancy Shirts are super cute for announcing the pregnancy of a rainbow baby. They have shirts for every month of the year and you get to choose the color “bunting bag” that the baby is sleeping in (on the shirt) from 6 different colors. These deep v-neck tees are super stretchy and lightweight, making them perfect for momma’s growing belly. 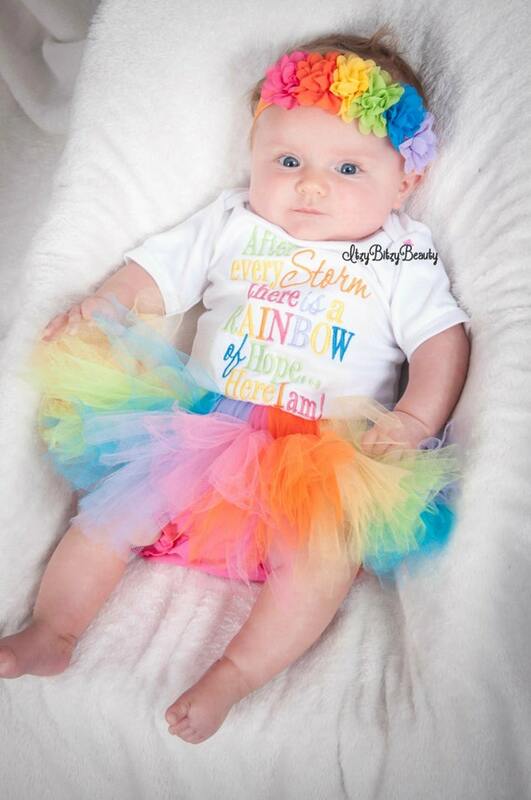 This Rainbow Is Bloomin’ Pregnancy Announcement Shirt is too cute! 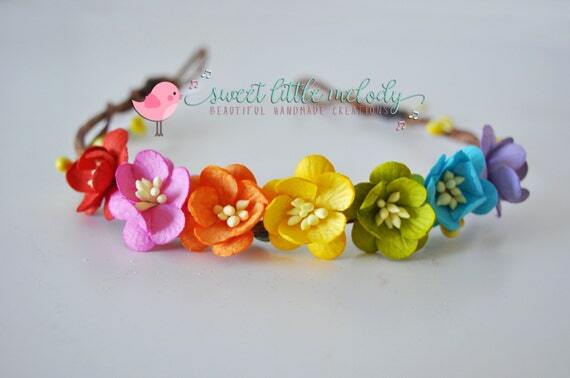 Perfect for announcing a Spring baby or for a gardening loving mama-to-be. 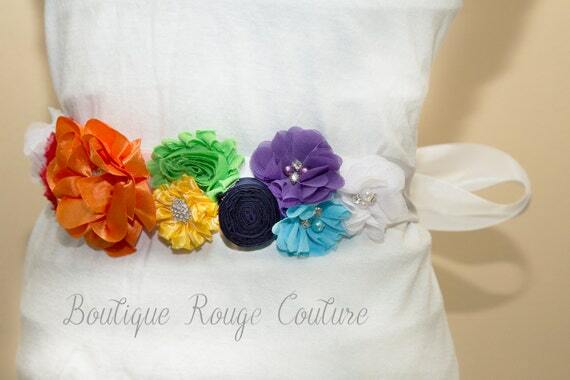 The pregnancy shirt features rainbow-colored blossoms and an arrow against a sky blue background. Proudly announce your pregnancy with a super adorable Momma Pregnancy Shirt featuring a pair of watercolor baby footprints on the belly. 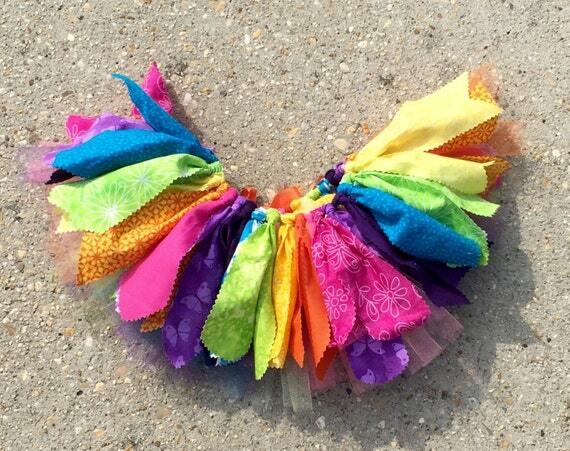 Rainbow Mama, Rainbow Mamma, and Rainbow Mummy are also available in their shop in short sleeve, long sleeve, and tank top styles. 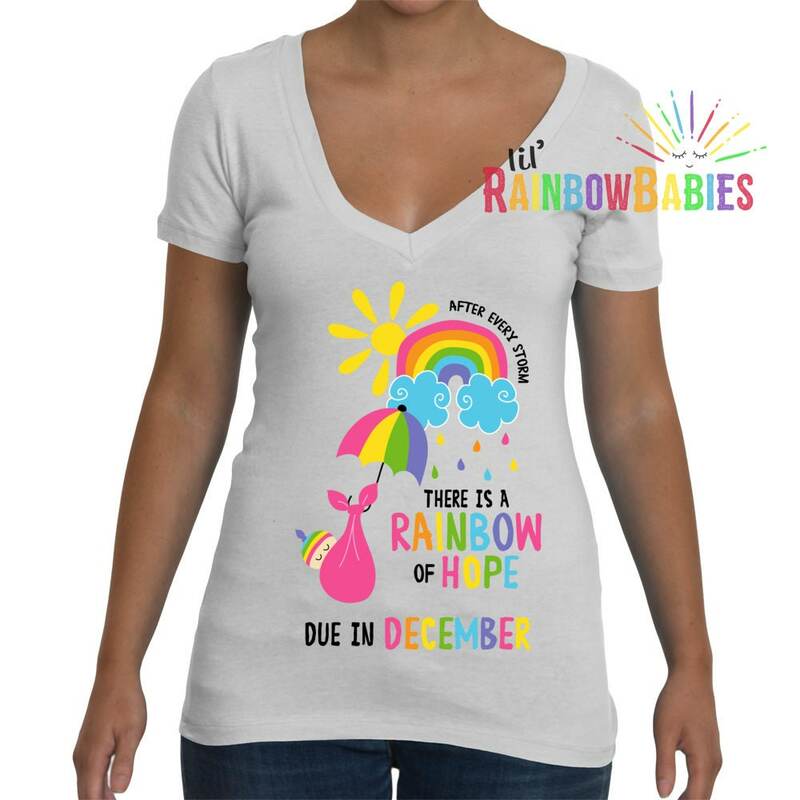 This cute rainbow baby maternity shirt features a tiny pair of adorable rainbow-colored footprints underneath multi-colored text “I’m A Rainbow Baby” that rests on the center of the belly. Available in 3 styles including a short sleeve t-shirt, a long sleeve shirt, and a tank top. This cheerful I’m A Rainbow Baby Maternity Shirt features a sun, cloud, and rainbow which makes for an extra cute way to celebrate your pregnancy as you go about your day. This shirt is available in a range of sizes and comes with your choice of short sleeve or long sleeve. 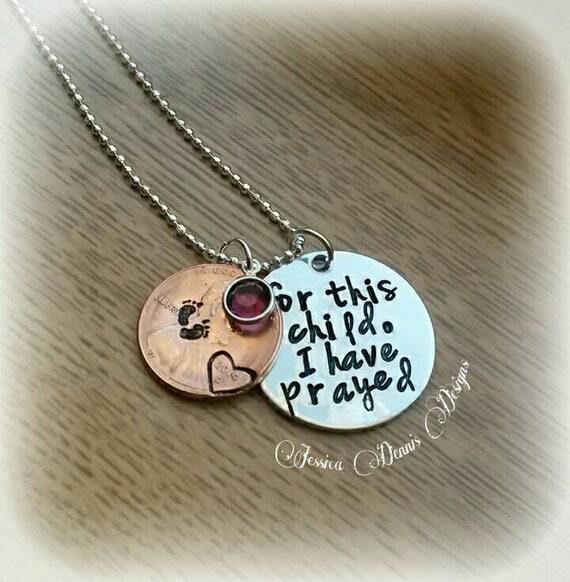 This seller welcomes custom orders and personalization requests. 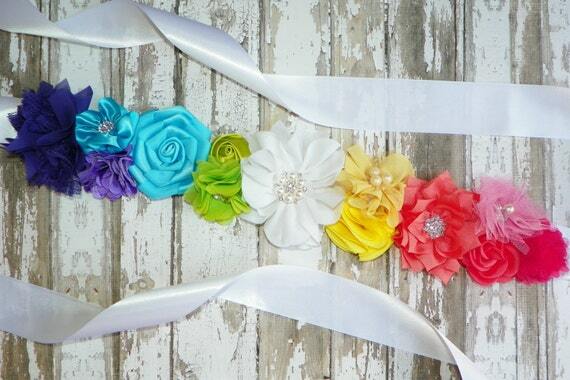 Celebrate your rainbow baby in a maternity photo shoot wearing one of these gorgeous Rainbow Maternity Sashes. 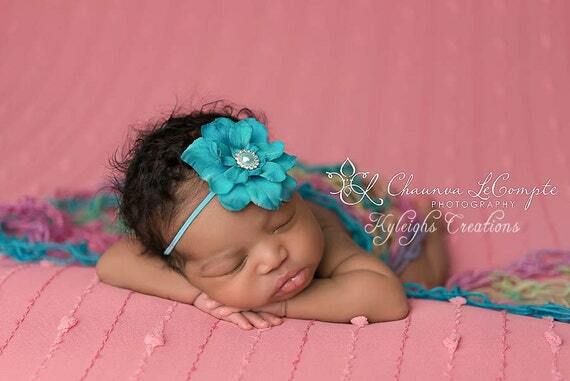 Maternity sashes do double duty and can be incorporated into a photo shoot of your newborn. 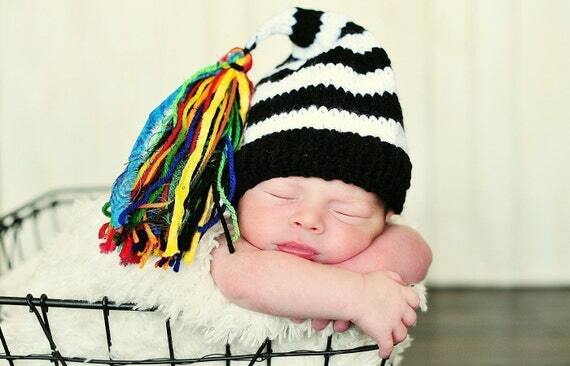 They can be placed around your baby or used as a prop on buckets, crates, and bassinets. 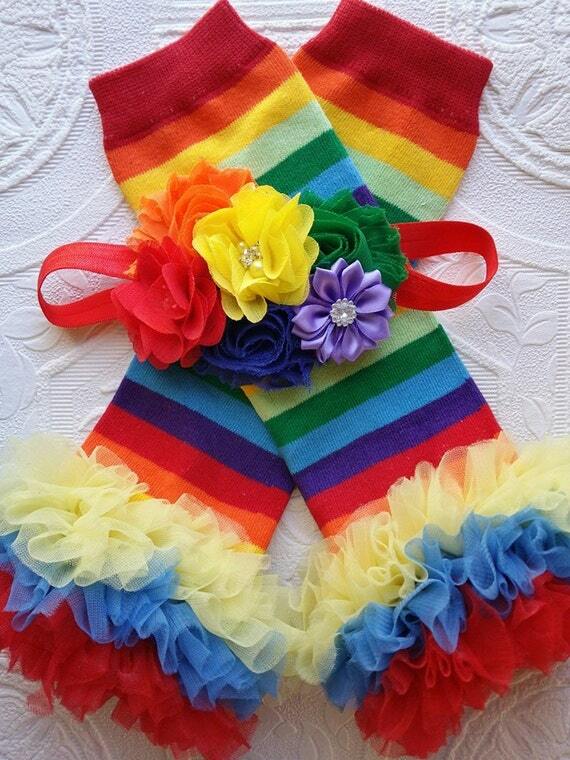 You could also ask the seller of a rainbow pregnancy sash you like if they could make a matching headband for your baby. 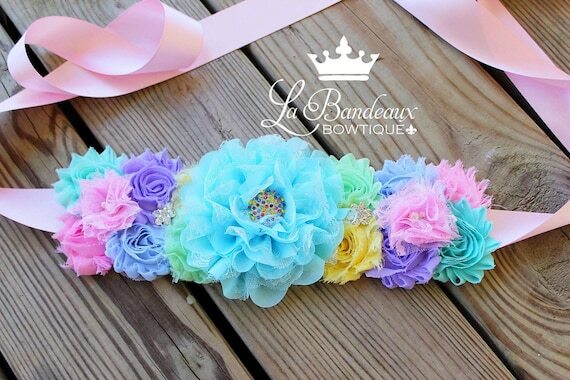 Pairing a flowery Rainbow Flower Crown with a maternity sash looks extra gorgeous and feminine. 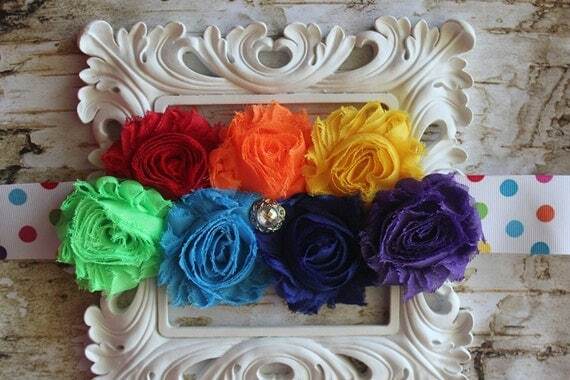 Choose from bright, bold colors or soft, pastel colors to suit your style and photography theme. 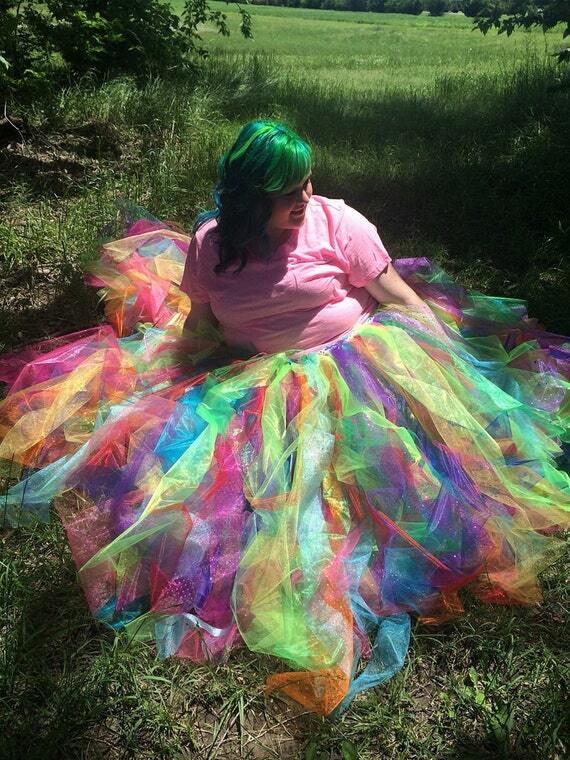 Showing off your belly with a Rainbow Tutu in a maternity photo shoot is crazy fun and looks especially awesome paired with a painted belly. If you have a girl, you could recreate the photos with a mommy-daughter photo shoot on her 1st birthday. Lots of fun for mom and baby! 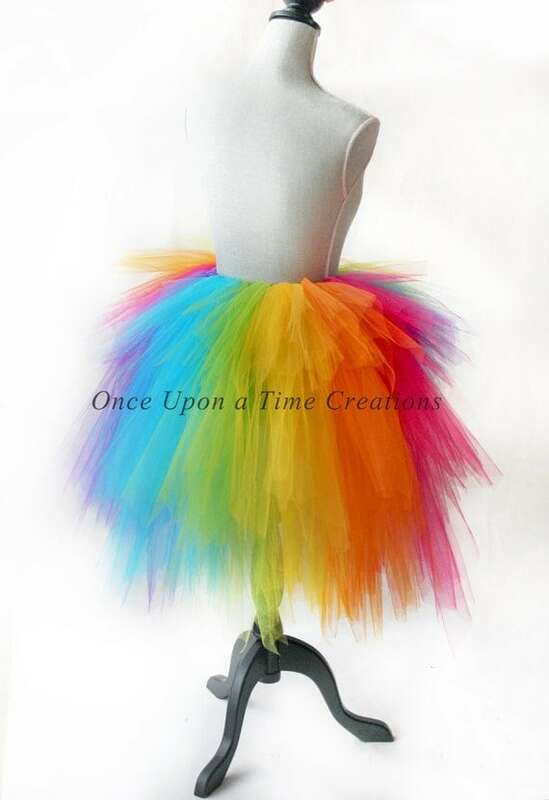 Here are a few custom, made-for-you rainbow tutus for adults from artisans on Etsy to give you some ideas. Every new mom deserves to be treated to a baby shower filled with friends and family, lots of fun and laughs, and gifts for baby. Whether you decide to host a baby shower before or after the baby arrives, are a first-time mom or a seasoned pro, there are lots of different options for throwing a baby shower. 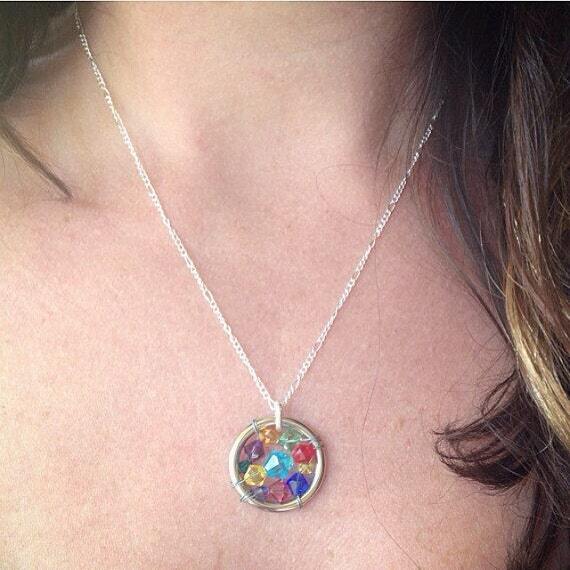 They can be as simple or as extravagant as you like and can include women only or all the family and friends. Some friends and family enjoy treating second time (or third time…) mothers to a sprinkle shower, where instead of gifts, guests are encouraged to bring a book or package of diapers or just their good company instead. 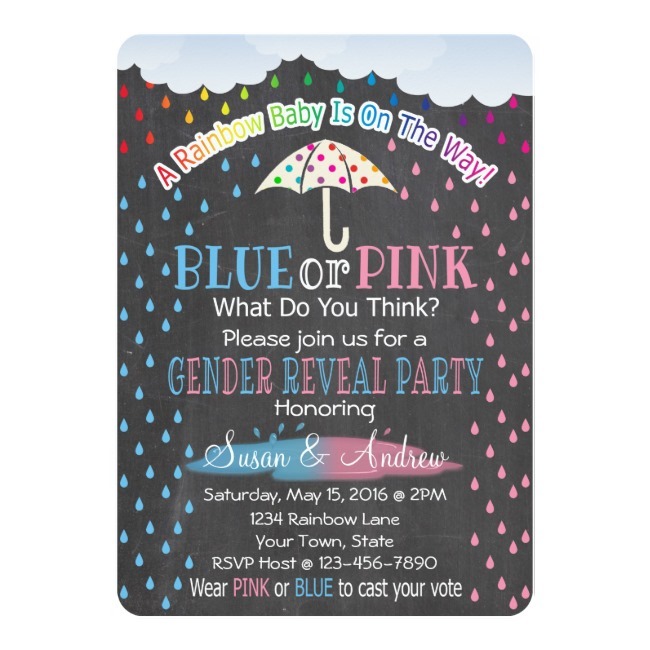 Another hot trend with new parents is gender reveal parties where they reveal the gender of their baby to friends and family in a fun way. This Printable Rainbow Watercolor Baby Shower Invitation is a lovely invite for celebrating a rainbow baby. The 5″ x 7″ invitation features a rainbow watercolor background with cascading white raindrops, a white cloud and a pair of adorable rainbow baby footprints nestled among rainbow colored text. The printable invitation includes a front and back and is available in either JPEG or PDF format. 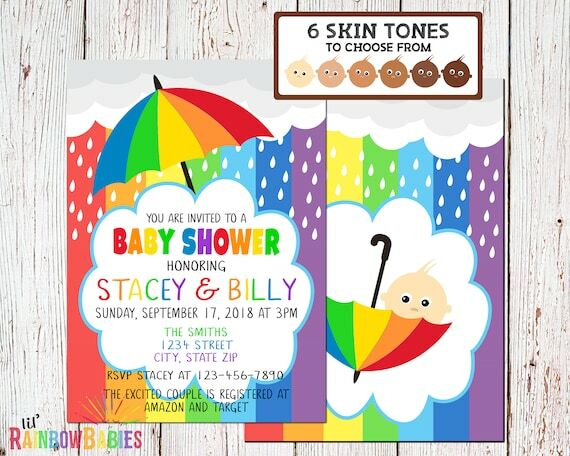 A super adorable, double-sided Printable Rainbow Themed Baby Shower Invitation featuring your baby shower party details on a large cloud underneath rain clouds, falling raindrops and a rainbow-striped umbrella on top of a vertical rainbow stripe background. The back of the invitation features a baby peeking over the edge of an upside down umbrella. The invite measures 5″ x 7″ and is delivered as a PDF or JPEG. 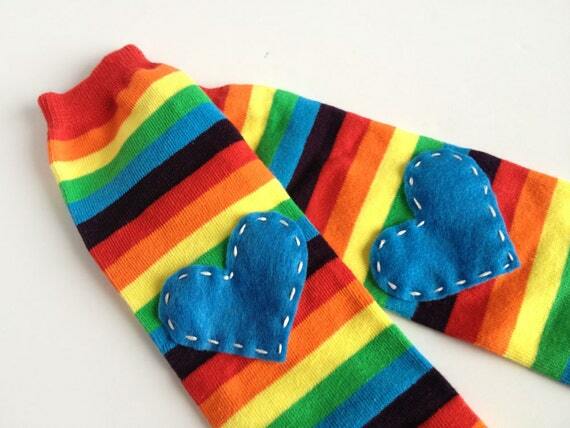 Rainbows and unicorns go hand in hand! This Magical Rainbow Unicorn Baby Shower Invitation is gorgeous, and perfect for celebrating a new rainbow baby. 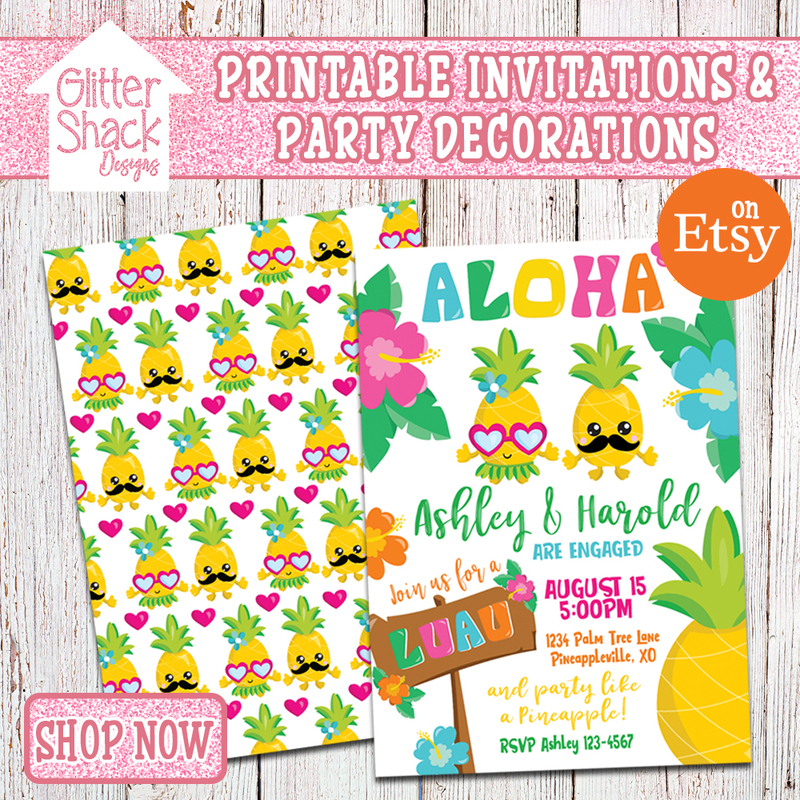 The invite features beautiful watercolor graphics including a rainbow, unicorn, and pink and blue flowers. The 5″x 7″ invite is available as a JPEG or PDF. 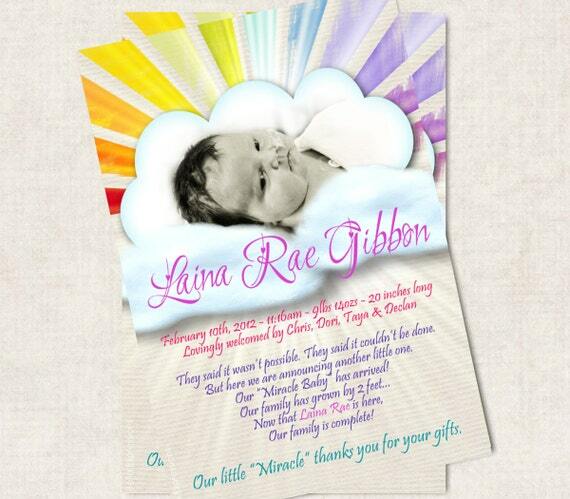 Here is another adorable unicorn-themed baby shower invite designed in a rainbow color scheme. 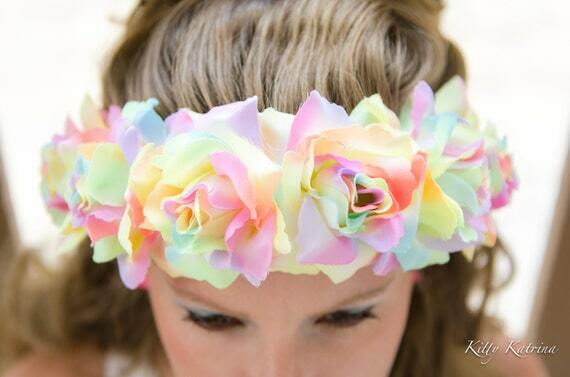 It features a cute baby unicorn, a mama unicorn, and some whimsical flowers. The invite measures 5″ x 7″ and is available as a JPEG or PDF. 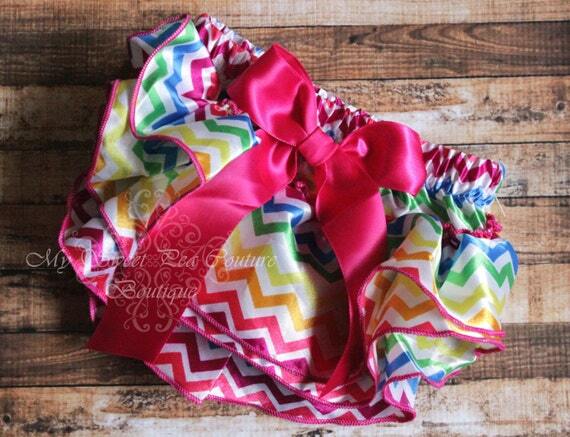 Baby showers are not just for first-time moms! 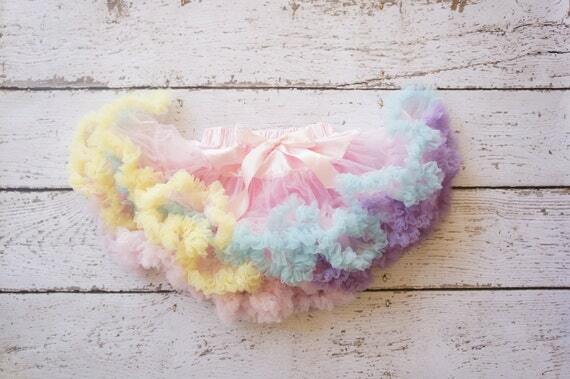 Throw a mini shower for her with a Rainbow Sprinkle Invitation. This soft, pastel invite features a gold glitter rainbow, raindrops, and flowers. Includes 4 backsides to choose from. The 5″ x 7″ invite is available as a JPEG or PDF. 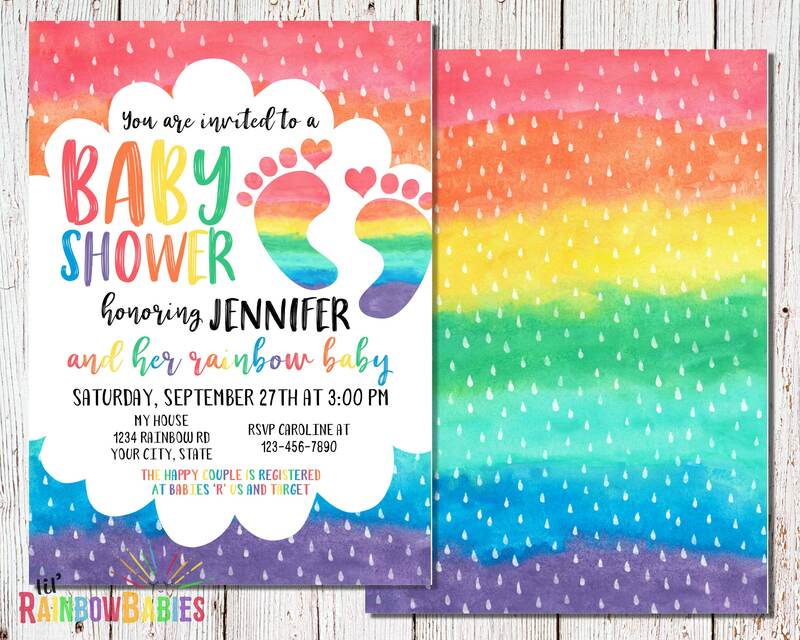 This next selection of rainbow baby shower invitations are DIY templates that you customize yourself with your party details and then you will receive your printed, personalized invitations and white envelopes in the quantity you ordered delivered to your physical mailing address. Choose from twelve different paper types and two printing options. 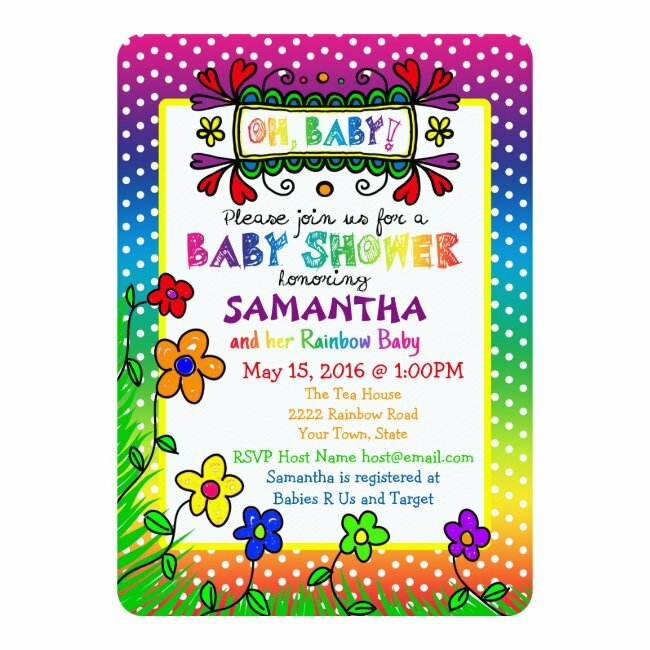 This cheerful Oh, Baby Rainbow Baby Shower Invitation features bright, whimsical flowers and doodles and a fun, sketch font on a white polka dot, rainbow background. Personalize the invite with the details of your party including the name of the new mom-to-be, date, time and address of the party, RSVP contact info and registry details using the template that is included on the order page. 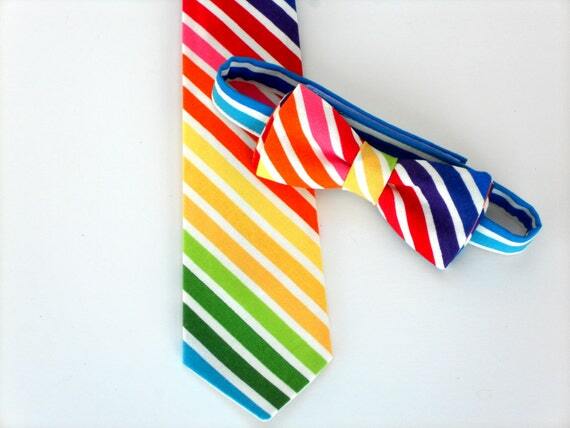 The back of the invitation is a continuation of the rainbow, white polka dot background. 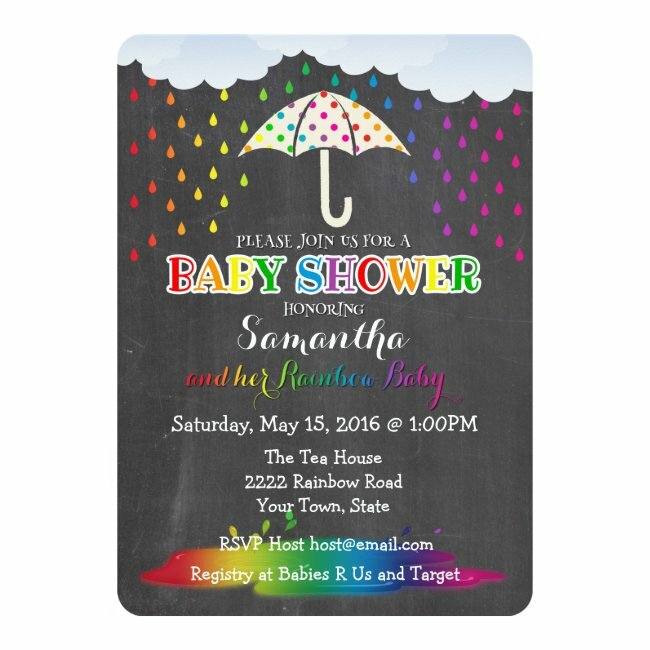 This black, chalkboard-style Rainbow Raindrops Baby Shower Invitation features rainbow raindrops falling from light blue clouds, cascading around a rainbow polka dot, white umbrella and forming a rainbow-colored puddle of rain. Personalize the invite with the details of your party including the name of the new mom-to-be, date, time and address of the party, RSVP contact info and registry details using the template provided on the order page. The back of the invitation is a continuation of falling rainbow raindrops. 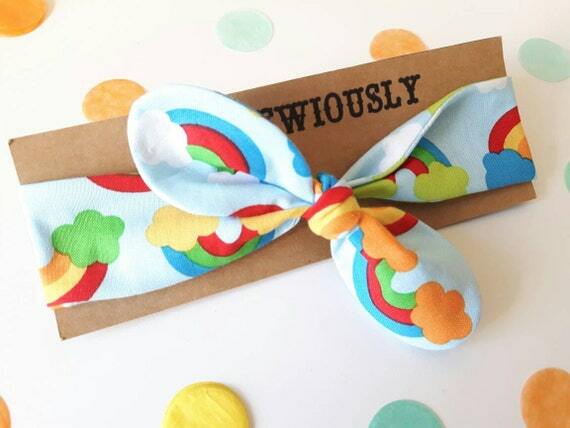 This rainbow baby shower invite was designed especially for celebrating a rainbow baby. 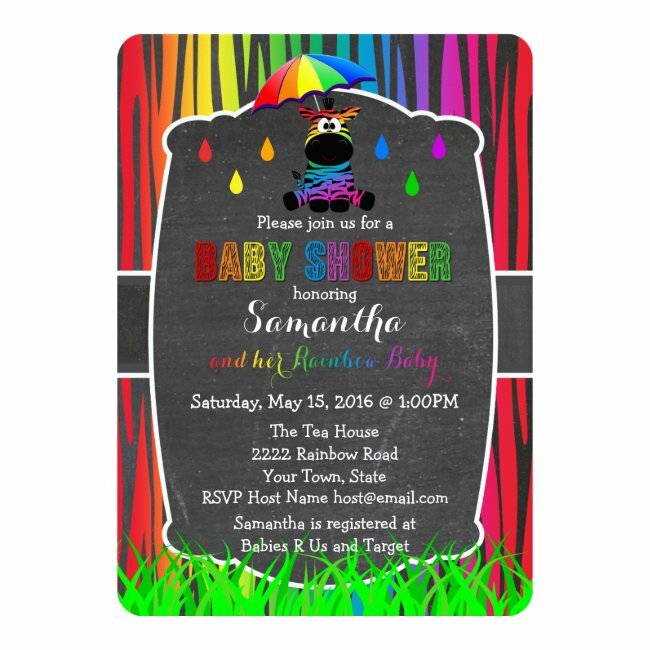 This bright and colorful Zebra Rainbow Baby Shower Invitation features falling rainbow raindrops, a rainbow umbrella and the text “baby shower” styled with a wild zebra font on a rainbow zebra stripes background. Personalize the invite with the details of your party including the name of the new mom-to-be, date, time and address of the party, RSVP contact info and registry details using the template provided on the order page. 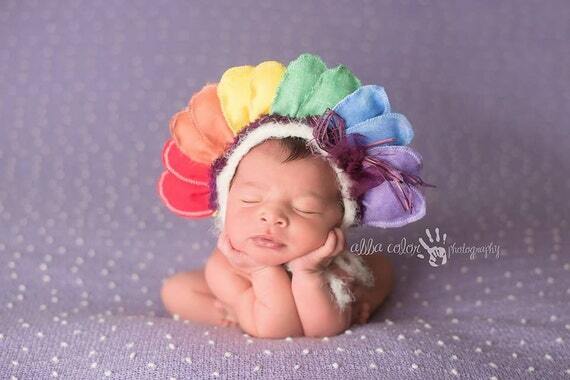 This baby shower invitation was designed especially for celebrating a rainbow baby. This fun and colorful, Rainbow Raindrops Gender Reveal Baby Shower Invitation, designed especially for a gender reveal party of a rainbow baby, features rainbow raindrops falling from light blue clouds, cascading around a rainbow polka dot umbrella and turning into pink and blue raindrops that pool together into a pink and blue puddle, all on a black, chalkboard background. Includes the text, “Blue or Pink What Do You Think?” and “Wear pink or blue to cast your vote”. Personalize the invitation with the details of your party including the names of the parents-to-be, date, time and address of your party, as well as RSVP contact information. Ah, your little miracle has finally arrived! 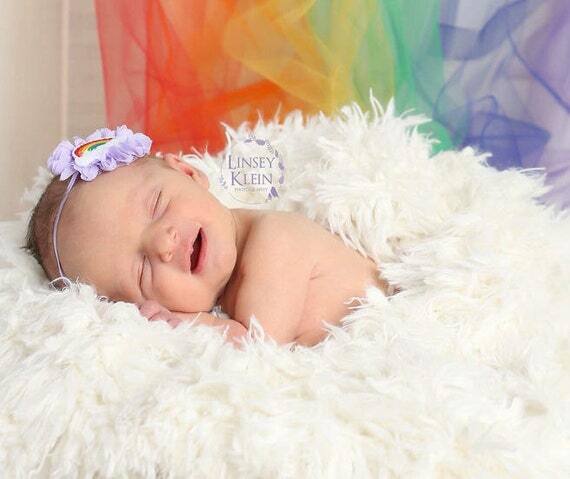 Share the news of your new bundle of joy with friends and family with a rainbow baby birth announcement. 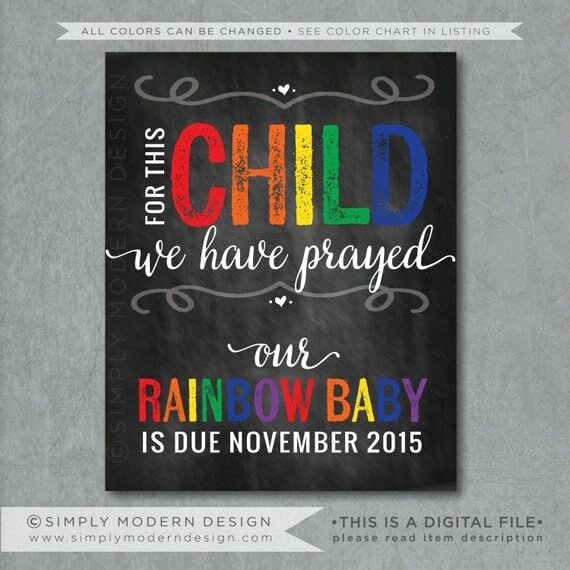 You can make your own rainbow baby announcement card using an online service or buy a customized invite and print it yourself. 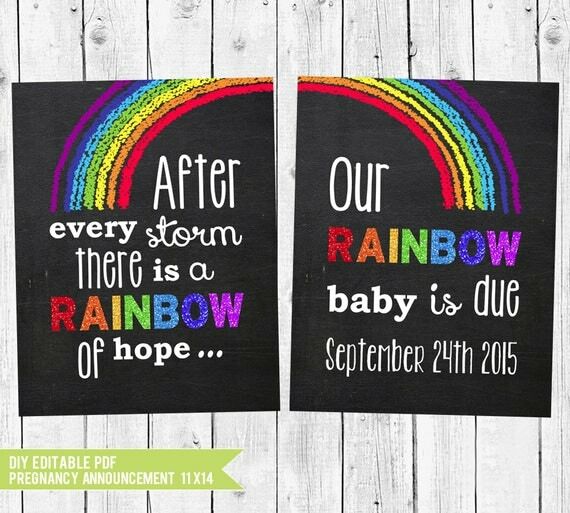 This selection of printable rainbow baby announcement cards are cards that you print-at-home yourself. You pay a graphic designer for the design and customization, and in return, you receive a digital jpeg file or your personalized invite via email that you either print at home or a photo center. You can also share the card with friends and family via email. You can print off as many copies you need and the file is yours to keep. The cards are usually ready for you to print within 24 to 48 hours after you send the birth details and a photograph of your baby. 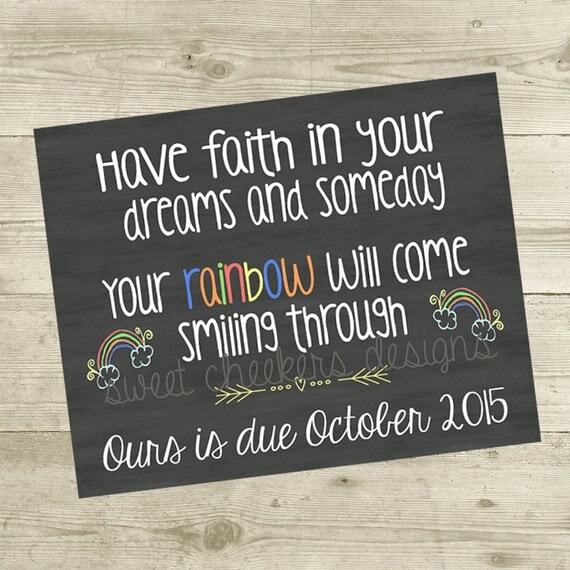 Welcome your miracle ray of sunshine into the world with this cheery Our Little Miracle Baby Announcement Card. 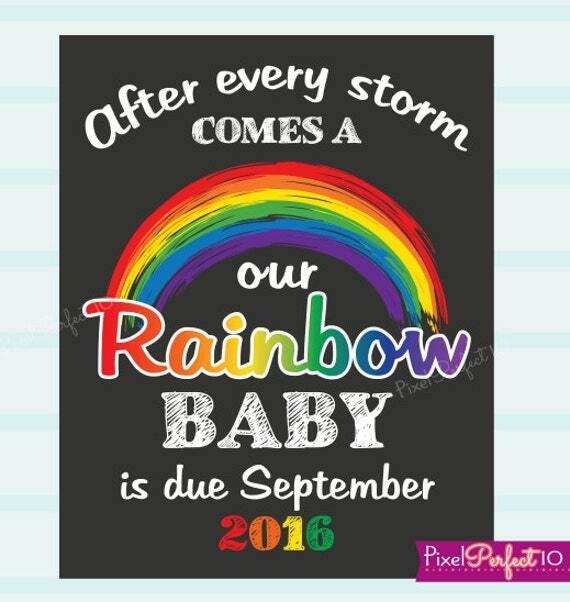 The card features a photo of your baby against a rainbow-colored sunshine and fluffy cloud and includes a sweet “They said it wasn’t possible. They said it couldn’t be done.” poem. 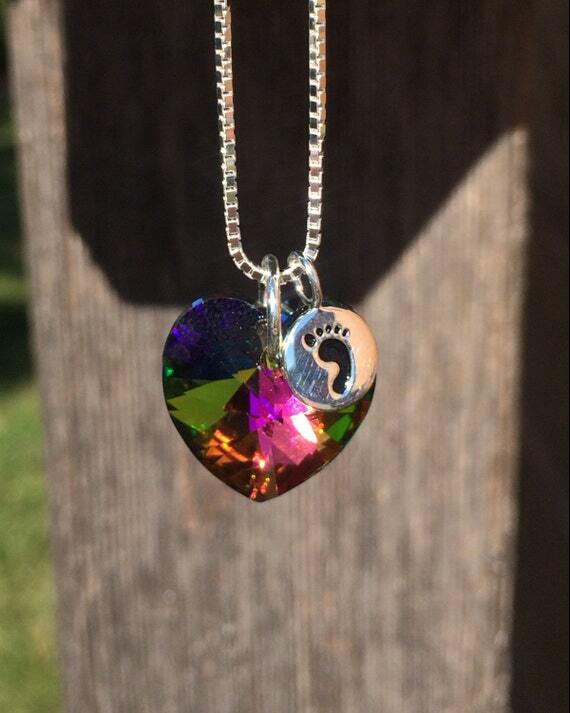 Personalize it with the birth details of your baby. Available as a 4″ x 6″ or 5″ x 7″ digital print. 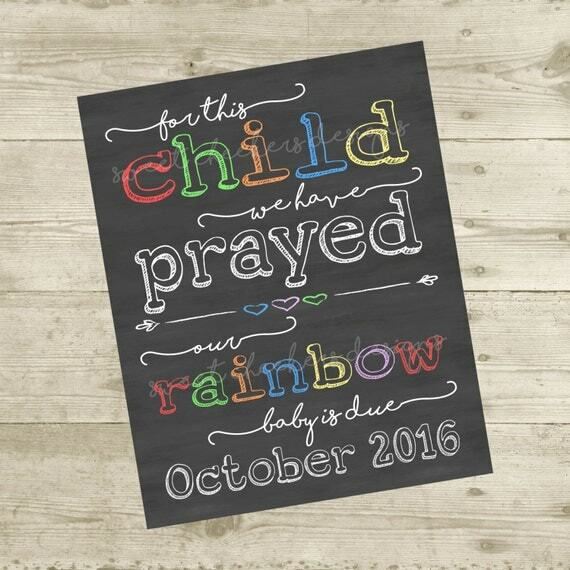 This bright and colorful, collage-style Rainbow Baby Birth Announcement has 3 slots for highlighting your adorable baby against an array of fun, rainbow-colored patterns. Choose from 2 different color palettes and 2 sizes digital prints, 4″ x 6″ or 5″ x 7″. 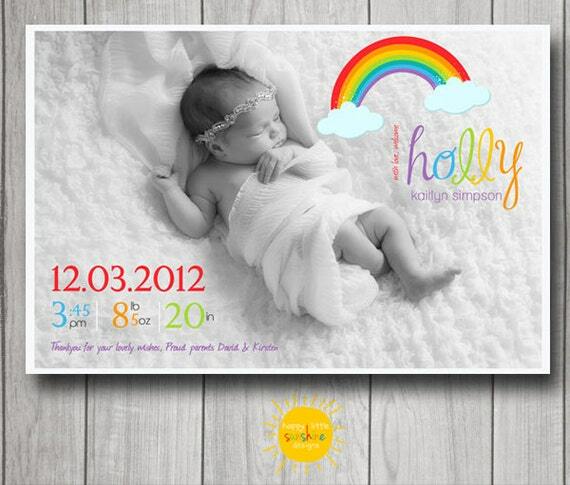 Show off your beautiful baby girl and her birth stats with this simple and modern Rainbow Baby Birth Announcement Card. 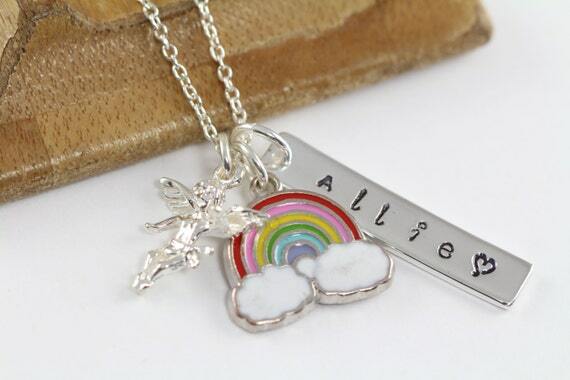 Features baby’s name styled with a decorative, rainbow-colored script font beneath a rainbow and clouds design in one corner and baby’s birth info displayed with colorful text in the opposite corner. Available as a 4″ x 6″ or 5″ x 7″ digital print or you can request a custom size. 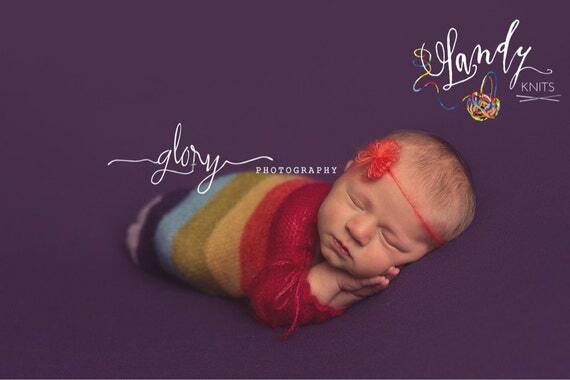 Welcome your sweet baby into the world with this gorgeous, collage style Pastel Rainbow Baby Announcement Card. 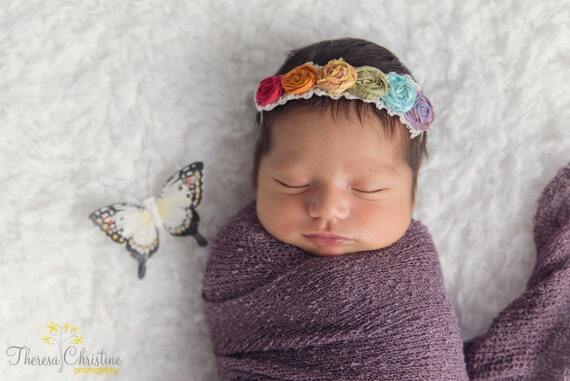 Features 3 of your baby’s photos nestled among 4 different soft, pastel rainbow color patterns and the details of your baby’s birth displayed on a black, chalkboard background. Available as a 4″ x 6″ or 5″ x 7″ digital print or 6″ x 7.5″ digital Costco print. Announce the beautiful blessing you have been waiting a long time for with this gorgeous and simple Worth The Wait Birth Announcement Card. The colors of the text and floral are customizable with a large color palette to choose from to suit the color scheme of your photo. Available as a 4″ x 6″ or 5″ x 7″ digital print. Ah! Your little one has arrived! 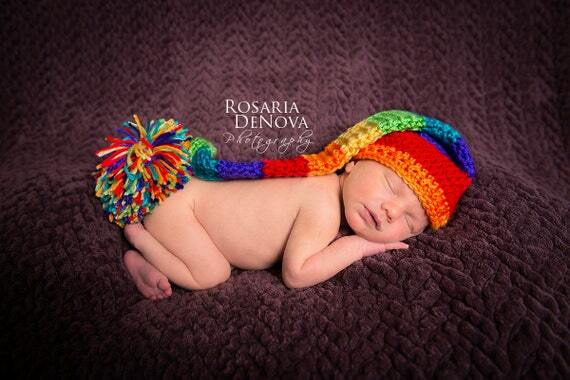 Show off your precious rainbow to the world with a newborn rainbow themed photo shoot. 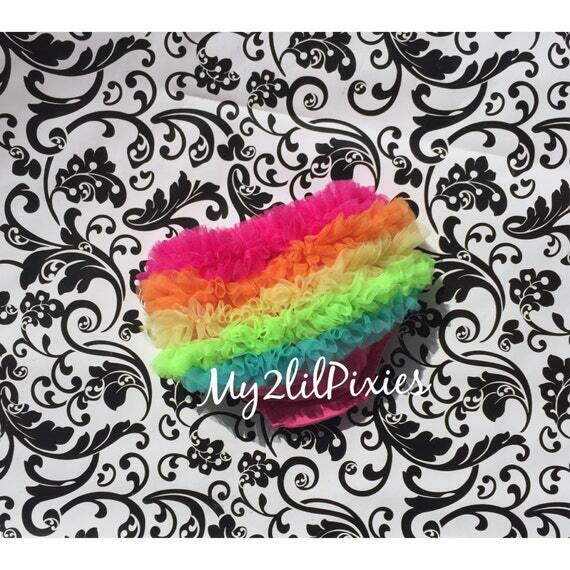 Some colorful rainbow props you could include are headbands, hats, wraps, and blankets, leg warmers, tutus and ties, bloomers and onesies. 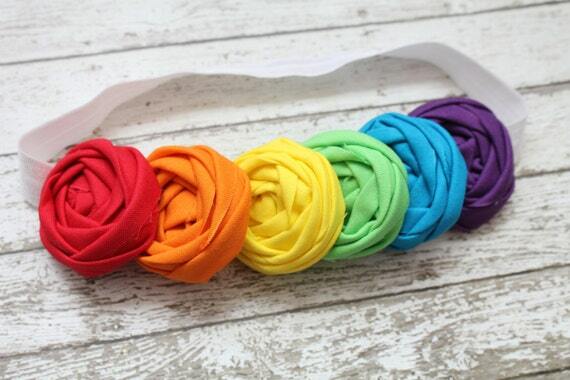 Use bright, bold colors or choose soft, pastel colors depending on the look you are going for. 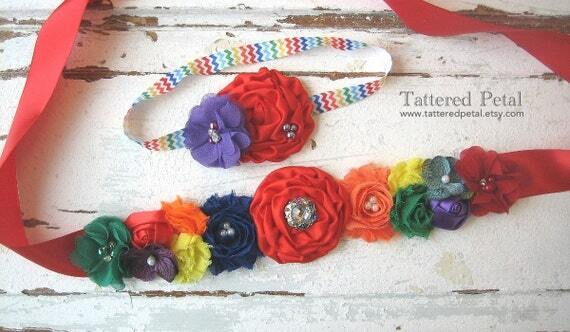 This lovely collection of Rainbow Baby Headbands is simply beautiful! 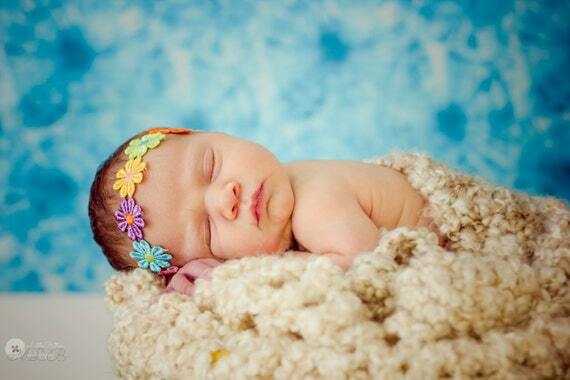 A headband is a simple way to add a pop of color to your newborn baby to create stunning photographs. Naked babies and hats! Can there possibly be anything cuter than that? 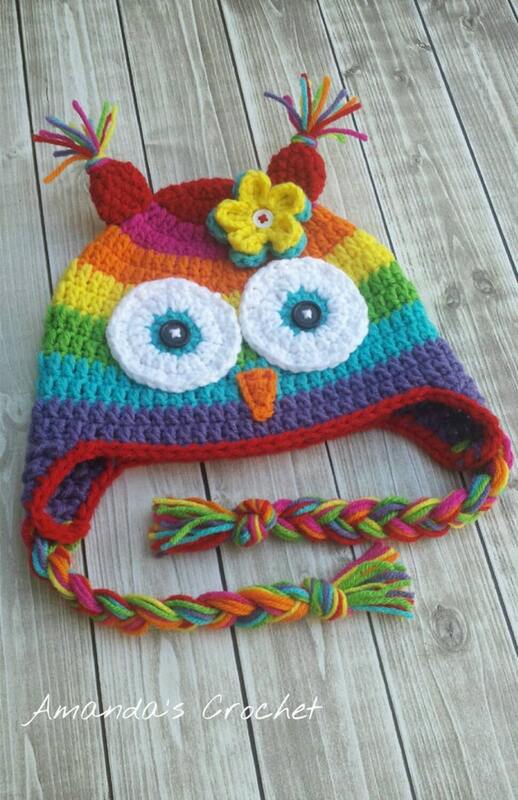 Choose from this selection of hand knit and crocheted rainbow baby hats and beanies to find the perfect hat for photographing your little nugget. They are all so adorable, the hard part is choosing one! 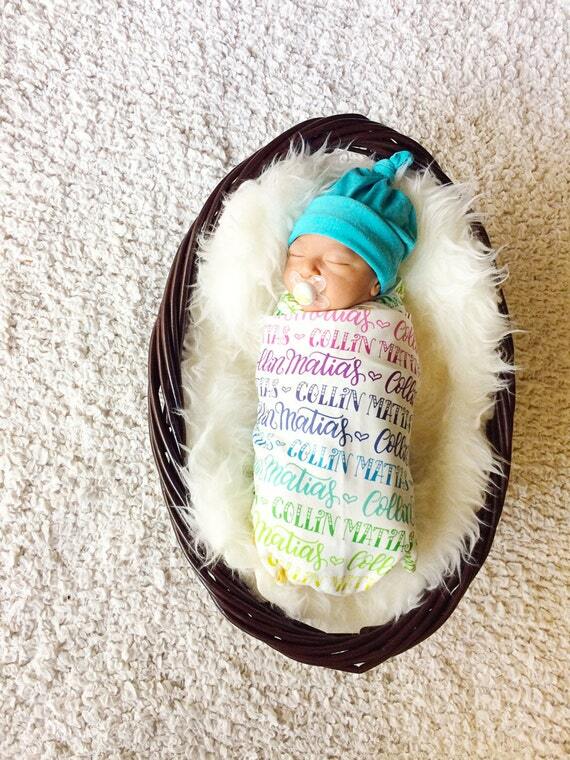 Photographing sleeping babies swaddled in wraps and blankets is popular in newborn photography. 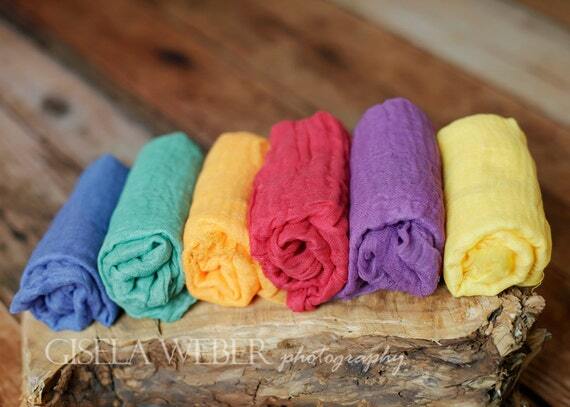 Swaddle and pose your baby using stretchy cheesecloth wraps or a knit sack for an adorable series of photos. 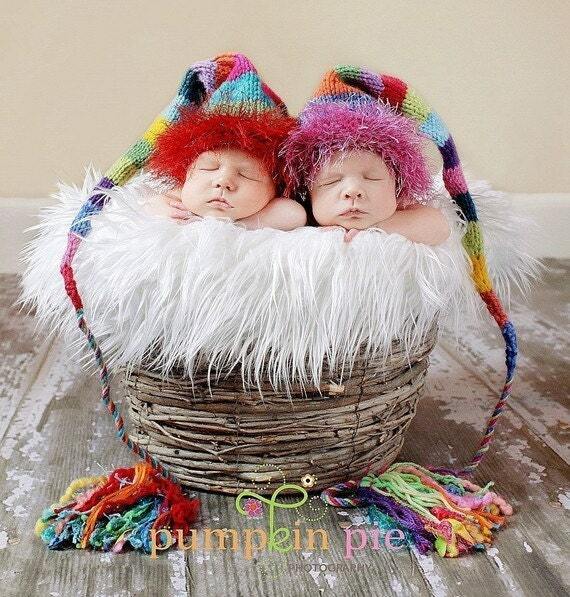 You could mix up your photos by wrapping your baby up snug or draping the wraps across their body. Dressing up baby in adorable outfits is so much fun and a photography session is a great way to unleash your creativity and go all out. 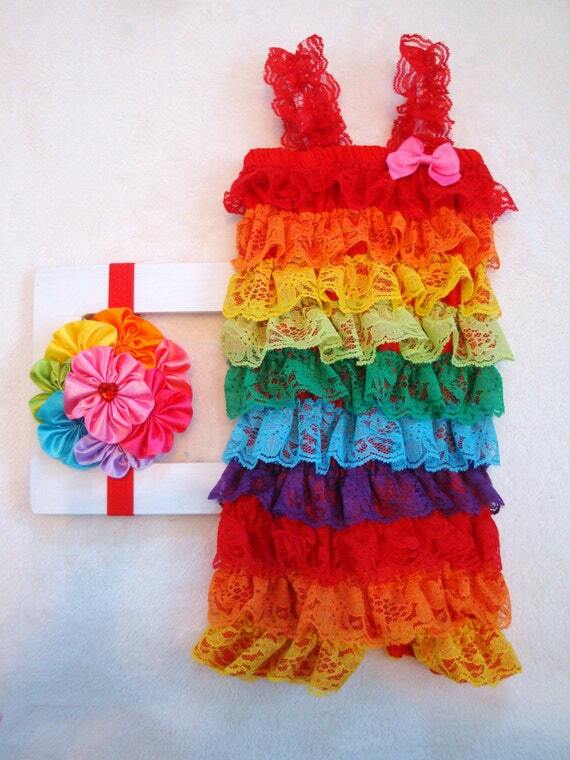 Legwarmers, diaper covers, neck or bow ties, pettiskirts, and bodysuits are popular items of baby clothing that can be used in a photo shoot. 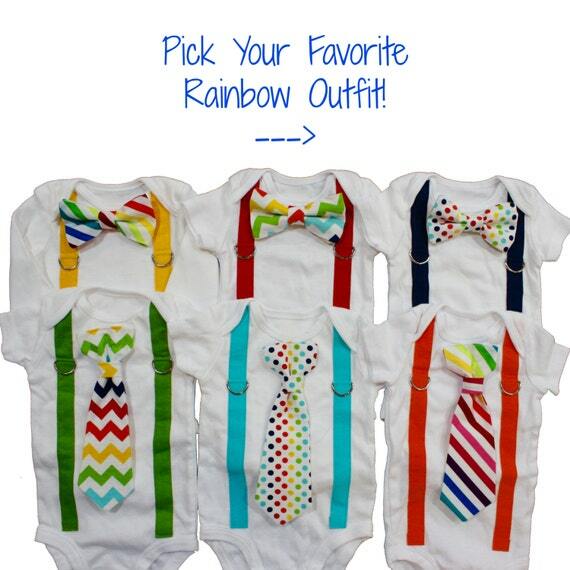 Here is a bright and colorful selection of rainbow baby clothes that would look wonderful used in a rainbow baby photo session. 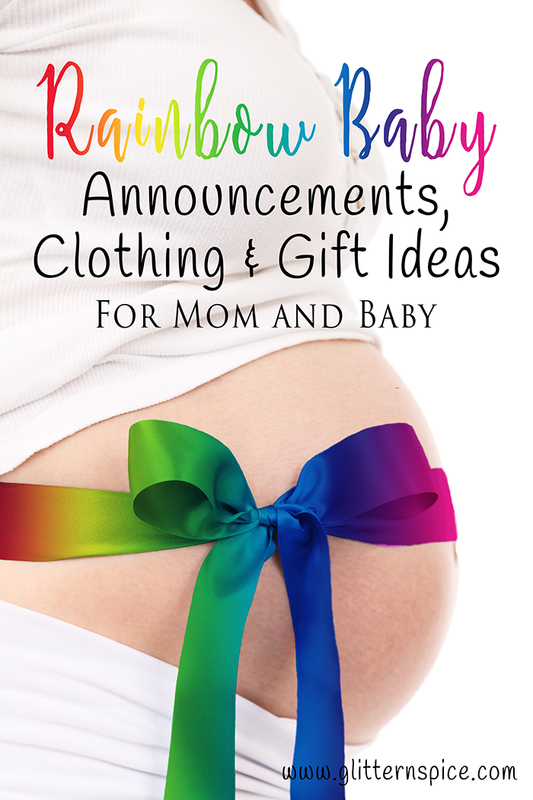 Thanks for visiting and I hope you found this collection of rainbow baby announcement cards, baby shower invitations, maternity shirts, photo props, baby clothing and jewelry gifts for mom helpful. 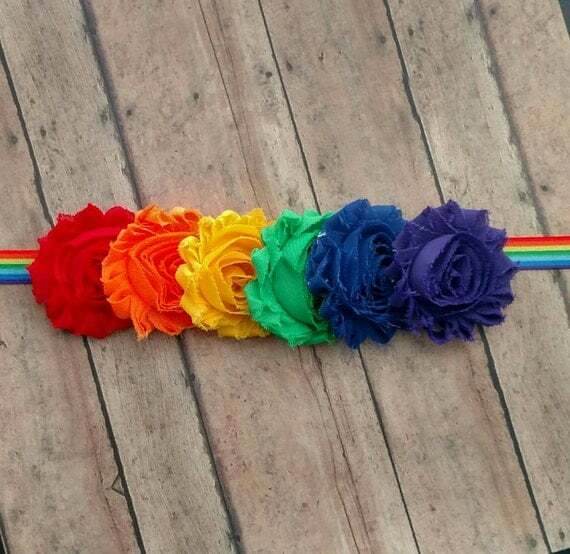 I pray and wish every single one of you find your rainbow.